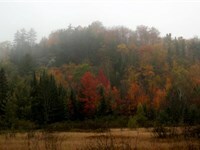 Private 40-Acre Michigan Inland Lake Parcel in one of the most spectacular regions of the State. 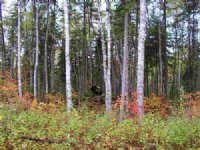 This Fawn Lake parcel is located in northwest Schoolcraft County about 21 miles northeast of the City of Munising, which is located on Lake Superior. The "Big Lake" shoreline that was once paddled by Native Americans and early European explorers, has become famous for the Pictured Rocks National Lakeshore, the Grand Island National Recreation Area, the three hundred feet high, five-mile long sand dunes at Grand Sable, and the surrounding Hiawatha National Forest. The 42+ mile long Lakeshore Trail through the park is part of the North Country National Scenic Trail, and is one of best hikes in Michigan. 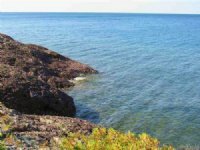 Backpakers trek between two towns, Grand Marais in the east to Munising in the west, past lighthouses and shipwrecks, giant sand dunes, towering standstone cliffs, beaches on Lake Superior, and beaches 200 feet above it. -- Half the fun is getting there. 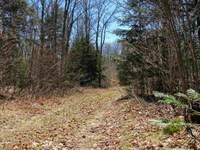 You get to the property using H-58, a paved County maintained road. 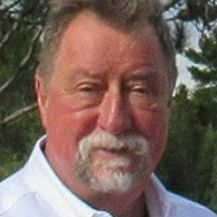 It is routed through the Pictured Rocks National Lakeshore Park to the north, and the adjacent to the 1,047,188-Acre Lake Superior State Forest in Alger County to the south. The curvey ride in provides a wonderful scenic drive, in spring, summer and fall. Motorsycists frequent this beautiful road way between Munising and Grand Marais, and a local group has named H-58 "one of the top five motorcycling roads in Upper Michigan",and it has been promoted by the American Motorcyclist Association in their guidebooks; Riders enjoy the 198 curves and scenic vistas along the road. 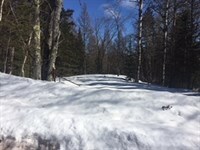 This area averages around 140-144 inches of snowfall annually, so you will have access to some of the finest snowmobiling the U.P has to offer. Multi-Use Sunrise Grade Trail Number 8 runs along the northern edge of the property - providing access to thousands of acres of trail fun. The property adjoins thousands of acres of Corporate CFA land for walk in access for hunting, trapping, and additional fishing opportunities. 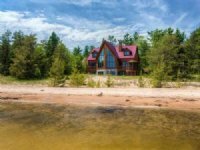 Fawn Lake is nestled in The Lake Superior forest region which was one of the last areas in Michigan to be logged for old-growth Red Pine and White Pine. Heavy commercial logging ended in the 1910S. The immediate area around the lake consists of glacial outwash sand and is considered well drained. 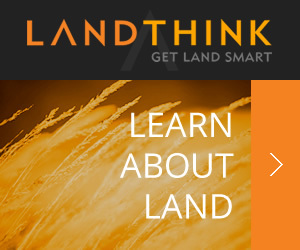 The land cover in the area consists of northern hardwoods, some wet lands, some open lands, and lowland coniferous forests. Birch, hemlock, maple, and white pine surround the shoreline on this parcel. The lake is spring fed and has a sandy bottom, is about 23+ Acres in size, and reaches depths of 38 feet. 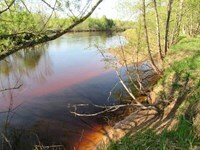 Fishing for Pike and Perch is available in Fawn. For more fishing you can walk to nearby North and South Gemini lakes. These lakes are really one body of water connected by a narrows, and have a surface area of 120-Acres and have depths of 10-Feet in the North, and 20-Feet in the South. 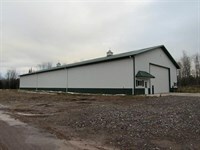 They have the same fishery offering Northern pike, Walleyes, Smallmouth bass, and Perch. -- A couple of miles to the south-east is Ross Lake. This lake has 196-Acres of surface area, and is about 20-Feet deep. It is mostly a Northern pike and Smallmouth bass lake, with some Bluegills. -- A few miles further to the south of Ross, is Cusino Lake. This 140-Acre, 10 to 30-Feet deep lake has lots of Muskies which are stocked annually by the Dnr. There are also some Perch and Pumpkinseed sunfish to troll for. 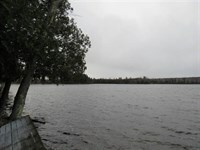 -- The land around Fawn Lake has only two private property owners. The 40-Acre property offered for sale lies along the north-eastern shore, and has about 900+/- feet of shoreline. 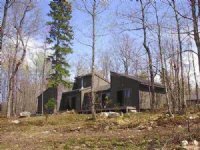 The property has a gradual slope to the water edge, and a clearing with a 30x36 foundation with 8 x 16 block walls in place (sub floor exposed to weather), a 12x12 Open Sided Shed, and a wood fishing dock. If you are seeking a Year-Round U.P. 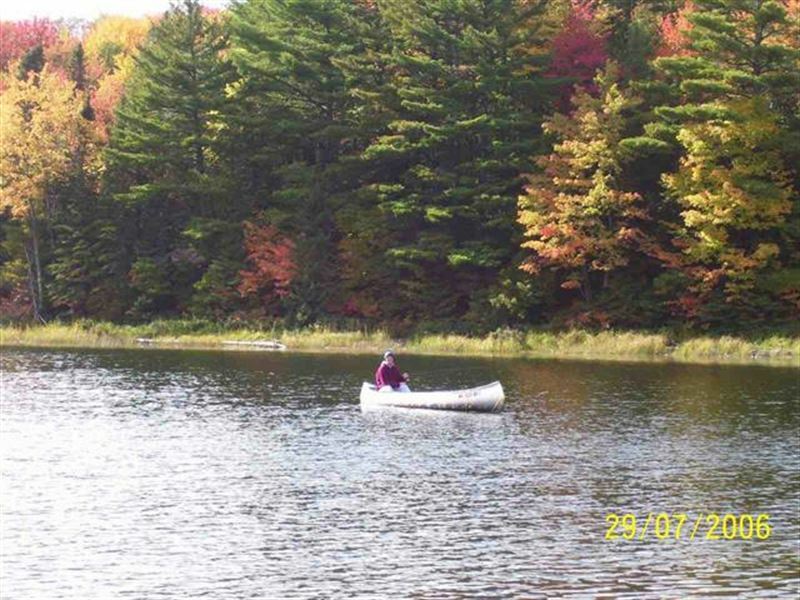 outdoor recreational opportunities, check this parcel out. You won't be disappointed. From the L'Anse Welcome Sign take US41 south 67.6 miles to the Round-About south of Downtown Marquette. Stay to the right onto M-28 East/South Front Street. Continue to follow M-28 East 4.3 miles to Intersection in South Harvey Location. Turn left to stay on M-28 East and drive 37.9 miles to downtown Munising --- H-58 starts in Munising at an intersection with M-28. The highway follows the eastern end of Munising Street through the eastern side of the city by the Neenah Paper Mill, then turns northeasterly. The roadway runs outside of, and parallel to, the southern boundary of the Pictured Rocks National Lakeshore. (The park visitors center, which is open year round, is located off H-58 on Sand Point Road.) The highway turns due east and runs through an intersection with H-13 (Connors Road). 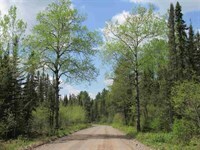 Leaving town, H-58 becomes Munising-Van Meer-Shingleton Road and enters the national park. East of the intersection with Carmody Road, the county road passes to the south of the Pictured Rocks Golf and Country Club before meeting the intersection with H-11 (Miners Castle Road). (This road provides access to Miner's Castle, a natural rock formation located on the shores of Lake Superior, and the Miners Falls.) About 4 miles further to the east, H-58 meets H-15 in Van Meer, site of the Bear Trap Inn and Bar. Continue east on H-58 about 5 miles to the community of Melstrand. Continue about 8 miles to Fox River-Long Lake Cutoff Road. Go about 1 miles and turn right onto Twin Lake Truck Trail. Go about a half mile and turn left onto Twin Lake Road. The North Gemini Lake Campground Entrance is on the right. Go past entrance to first two-track on the left on sharp curve. Stay on two-track until you get to the Gate. 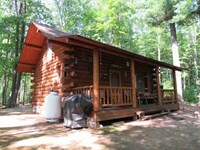 When calling broker, please say, "I found your listing Twin Lake, Mls 1107228 on FARMFLIP."